NEW FEATURE – Bowpeep has her own website for the podcast to keep it all together. 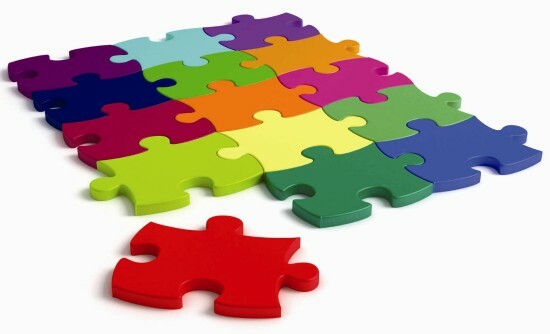 No more searching for the pieces to the Ba Ba Blacksheep podcast. It’s all here! Let me know how you like it. Another chicken dies of old age. A chicken’s life span is only a few years, so it wasn’t unexpected. We’ve had her and the group of original chickens for three or four years. The garden is really producing and I’ve been making pickle relish, putting up tomatoes and freezing corn and other veggies. Busy time of year on the farm right now. 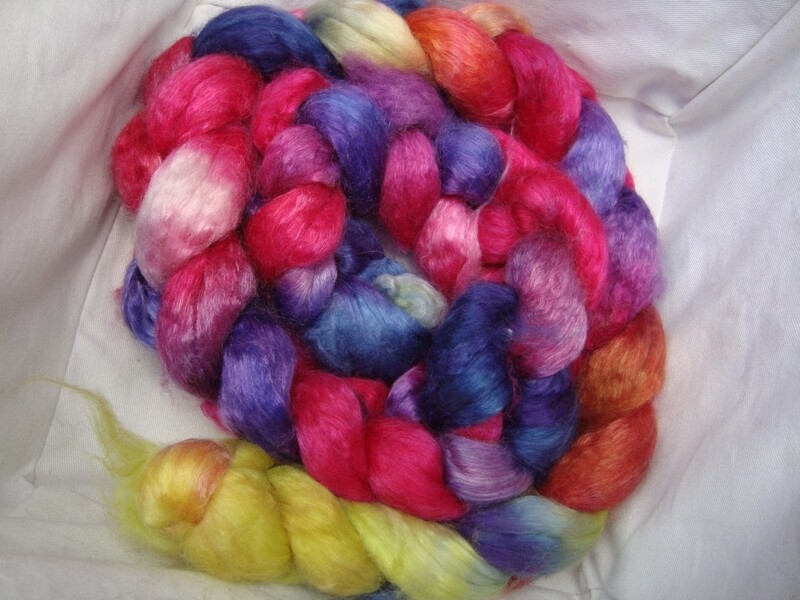 Nothing right now in the dyeing department. Spumoni is actually finished now and Panda is on the wheel. It’s a Merino Superwash, bamboo and nylon blend, perfect for socks. 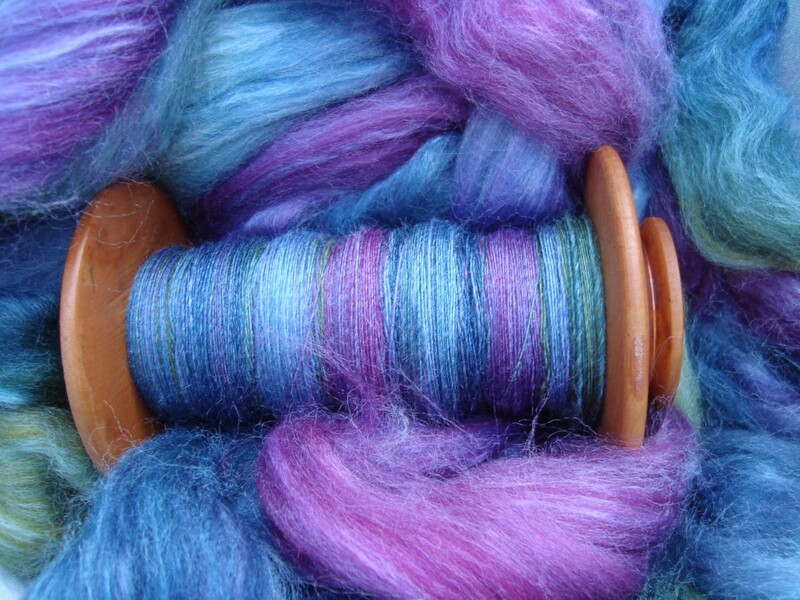 It’s the colorway “Dark Matter” from Yarn Hollow. Hubby’s socks, almost finished now, just one more toe. Started the weaving on my Ripsmatta rugs. Some rough starts, but I’m getting under way, despite the hiccups. You’ll hear all about the hiccups in “Greensleeves”. I’m a little further than this pictures shows, but not by much. I’ve been so busy with family and garden I haven’t had as much time for fiber crafts. Plenty of time for all of that when winter comes….oh, I don’t want to think about that yet. 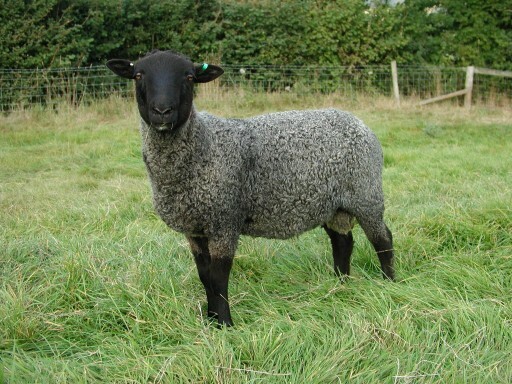 Gotland revisited and Gute sheep introduced. Locks or pieces of a fleece each look different upon closer inspection. The lock on the right is from Tara’s neck wool, the lock in the middle is from her shoulder area and the left hand lock is from the hindquarters (hip area). 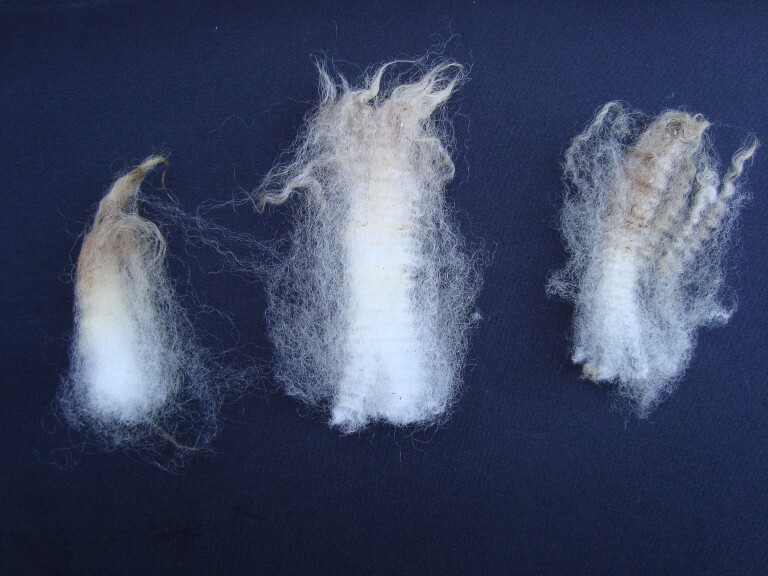 If you look you can see the different crimp styles and understand how different the same fleece can be. Bad lighting can make a project more difficult, if not impossible, to do. Try to find lightbulbs that are “full spectrum” or “daylight” bulbs to get a truer light. Nothing is as good as natural sunlight to see the definition on darker yarns or when threading a loom. 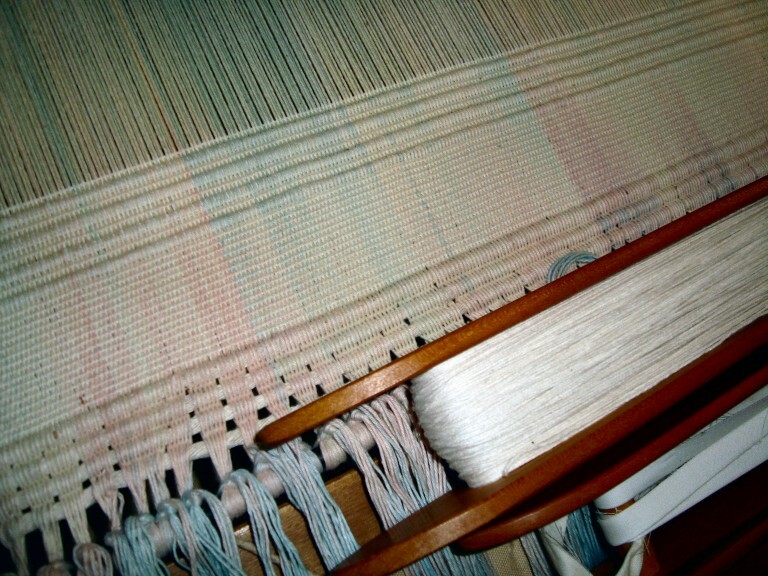 The tangles and hiccups of getting the ripsmatta rugs on the loom. There’s always something to fix when warping or threading a loom. At least for me there is. I still classify myself as a beginning weaver. 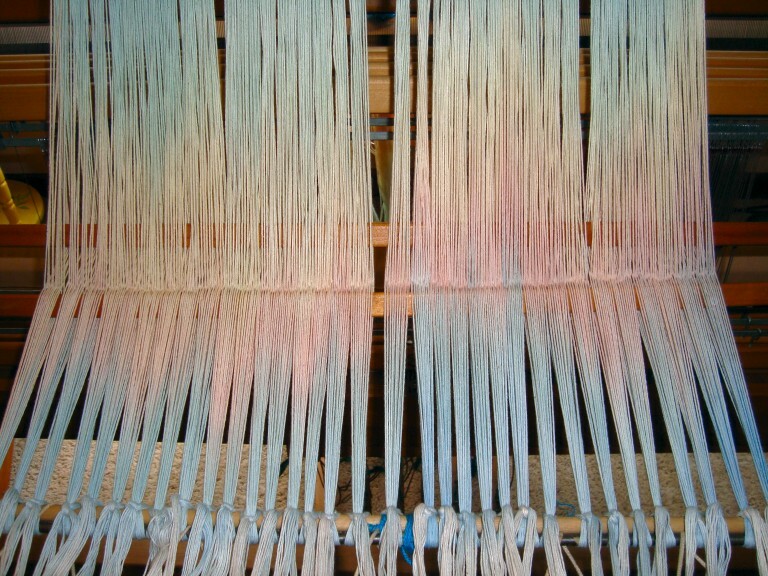 “Lease sticks” – these sticks hold the cross while warping and threading the loom. They are, in my opinion, the best tools a weaver can have. More information about using lease sticks on Weavezine. A pattern book full of nice sweaters that men would wear. Hubby like several in the book but decided on a vest pattern. His comment was it should be easy since it doesn’t have sleeves. True, and faster, especially on size US #15 needles in chunky yarn. “The whole is greater than the sum of it’s parts”. All the pieces of life, planning a trip to a fiber festival, parts of my loom and getting to know them better, our spinning group comprised of individual members. Looking at the whole but seeing the sum of the parts and appreciating them too. Adding photos in Ravelry. New, Ravelry extras to make adding photos so much easier. Check out the main page on Ravelry for more information and videos on using these new features. Bowpeep has her own website now that has links to everything in regards to the podcast and more! Check out the new website and let me know if you like it! Sneak peek at one of my fiber festival purchases, Greatful Thread II from Yarn Hollow. Thank you Karen from California for your donation to the podcast. I couldn’t go on without your generous support. This entry was posted in Barnyard Banter, Book Reviews, Fodder, Knitting, Ravelry Tips, Say What?, Sheep Breeds, Spinning, Tips, Tricks and Techniques and tagged Dark Matter, Gotland, Greatful Thread, Gute, lease sticks, Men's Sweaters, Panda, pickles, Pieces, tomatoes, Uncle Seth, Whole is greater than the sum of it's parts, Yarn Hollow. Bookmark the permalink.